Best time to purchase Las Vegas Nv investment homes.. First time buyers or investors, incredible times for investing your cash in Las Vegas Real Estate. Cash flow on property’s priced from $50000 to $85000 ,, rents from $800 to $1300 a month on homes throughout the Vegas valley. Homes in the list below are built from 1980 on up with the majority of them built in the last 90’s early2000. Multiple offers on sale in this price range, cash offers are preferred by the selling banks. Bank owned foreclosures r.e.o inventory is the dominate inventory of this price range. Broker salesperson Jonathan Abbinante offers diverse buyer representation and property management. Jonathan Abbinante Property Management permitted Broker Salesperson.. I handle property management throughout the entire Las Vegas & Henderson Nevada Valley.. All clients receive that great One on One service ! 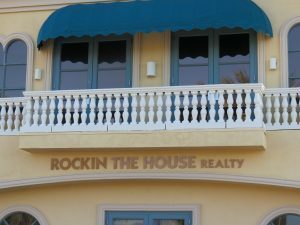 I manage town homes, condos, homes, real estate, retail, studios. I work with investors by first producing that great investment but also handle the continued management operation. Tenant screening, background checks, clean outs, over look rehab, evictions, rent collections. Contact me , i will evaluate your p﻿roperty and let you know what market rent is currently and give you a realistic over view of your investment.